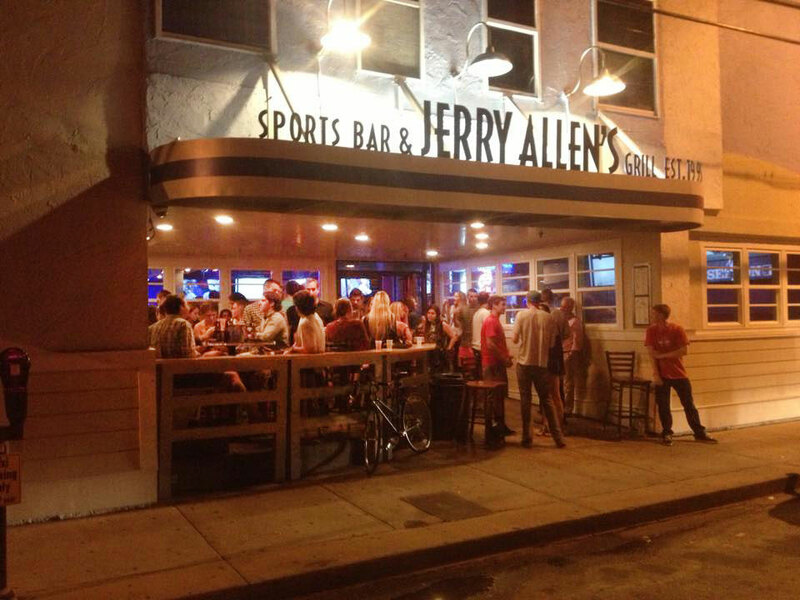 When attending UNCW, Jerry Allen worked at Katy’s Grill & Bar on College Road. In 1995, after graduating, Jerry leased a small space in a building near the center of Wrightsville Beach on Lumina Avenue. Known as a popular dive bar in its early days, Jerry Allen’s became a regular destination for college students, surfers and summer tourists enjoying the sand and waves of Wrightsville Beach. A few years ago Jerry, along wiht his partner, Kelly Baucom, renovated the exisitng buidling housing Jerry Allen’s to add an outside deck, a deco-modern exterior and a newly expanded bar. Now Jerry Allen’s offers lots of HD TVs bringing in live sports action. An expanded kitchen allowed for more menu items, making Jerry Allen’s one of the best places on the island for good food and drink.